By HeatherLynn on April 5th, 2010 . Filed under: Accessories, Gifts, Toys . 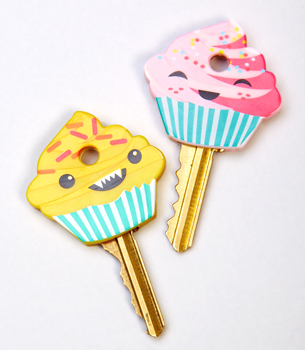 I always see cute key covers like Robots and Monsters, but I had never seen Cupcake Key Covers until now! I found these at FredFlare.com. I found this website by googling “cupcake ideas”. I absolutely love this website! I am in the process of putting a business plan together for a home-based gourmet cupcake bakery in SC. All the ads, blogs, and recipes have been very helpful. Thank you for such a wonderful website!